Winter is not the most energetic of the seasons and it can be especially harsh here in Britain. The rain and the wind not only hurt your morale, they can cause a bit of havoc on your skin and hair as well. If there’s ever a season to look after yourself, then it’s definitely winter. The good news is you don’t have to spend hours pampering your skin and hair or throw money at expensive products and treatments to look good. There are great winter care beauty products out there that help you maintain a radiant and healthy skin and hair. 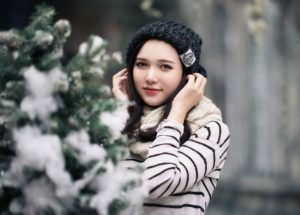 So, if you want to make sure you survive this winter, these are the five important winter care beauty products to use. Moisturising your skin is always important but it’s definitely a crucial part of your beauty regime in the winter. The problem is the dry and harsh air that will put your skin under more stress – you’re constantly going from cold air to hot indoors air. What many people get wrong is they assume the same moisturiser they use in the summer to also work in the winter. This is often not the case but you need to opt for something more moisturising even if your skin is slightly on the oily side. There are plenty of good moisturisers out there. Green People is a great organic brand to try – the moisturiser is free from parabens, lanolin, alcohol, artificial perfumes and colourants, making it suitable for those with skin problems such as eczema. Another way of adding moisture to your skin and protecting it from the elements is with a serum. Serums come in all shapes and sizes – they can help with targeted problems such as dimples or dark circles under the eyes or help you keep your skin looking radiant and young. For the winter season, Neal’s Yard Frankincense Intense Lift Serum is a great pick. It’s a relaxing and calming aroma with a sweet lavender-like fragrance. It’s definitely a great product to put on at night, helping your skin look brighter and to feel smoother in the morning. Neal’s Yard has other lovely serums to keep in mind as well – if you have a particular problem you want to tackle, pick something to help you with it. The harsh weather conditions can cause havoc on your lips. If you are a regular user of lipstick and your lipsticks don’t have a moisturising effect, you might find them peeling and cracking during the winter. A good, soothing lip balm is a good idea to help your lips feel and look healthier. Yes to Coconut Cooling Lip Oil is worth looking into. It has a lightweight formula,which adds a tiny touch of shine to your lips without wearing them down. Another good option is the Bioderma Atoderm Lip Moisturising Stick – it’s nothing fancy but does the job well. Your face will have to deal with a lot during winter months. You’ve probably indulged in a lot of tasty (yet sugary!) treats over Christmas and perhaps even drank a few extra glasses of mulled wine. The air is filled with different types of toxins and pollution and your poor skin has to deal with all of this. It’s important to pay attention to your cleanser and to pick something that really gets to those pores and removes all the dead skin and dirt from your face. However, you can’t pick a cleanser that’s too harsh. Your skin is going through a lot in these months so you need something gentle but purifying. Two good options to consider are the Antipodes Grapeseed Butter Cleanser and The Organic Pharmacy’s Carrot Butter Cleanser. You can find both products online at Feel Unique, for example. Now, you do need a bit of pampering during winter. The weather can be dull, the nights are dark and summer seems so far away. Luckily, you can always attend a relaxing beauty treatment or simply pamper your face at home with a facemask. A relaxing mask will give your skin time to rest and rejuvenate. You definitely want to pick something soothing and warming, as it’s the perfect way to prepare your skin for the cold air outside. So, consider checking out the Balm Balm Hibiscus Face Mask. It has a glorious fragrance to it and you get a lot of masks out of the bottle – you will have to mix the actual mask yourself each time. Grab a book, make a cup of tea, and just sit and relax. 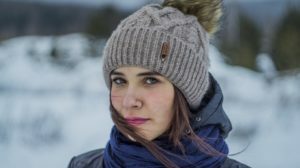 The above five winter care beauty products will help your face stay healthy and happy over the dark and cold days. You can find discounts for the products with different beauty retailers through VoucherBin and can help yourself to save from winter hazards on a budget. So, treat yourself and your skin. A good beauty regime over the winter will guarantee you look glorious during summer too! 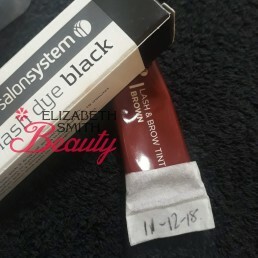 New year, better habits – Do you date your beauty products?